Miklós Mojzer, the former director of the Museum of Fine Arts, passed away last weekend in the 83rd year of life (1931-2014). Miklós Mojzer was an outstanding scholar of medieval and Baroque art. Born in 1931, he had studied in Budapest, and began his career at the Christian Museum in Esztergom. In 1957, he started working in the Museum of Fine Arts, in the collection of Old Hungarian Art, in the department headed by Dénes Radocsay. In 1974, when the medieval, Renaissance and Baroque works of Hungarian Art - the Old Hungarian Collection - was trasferred to the Hungarian National Gallery, he went with the collection, and soon became head of the department (1977-1989). 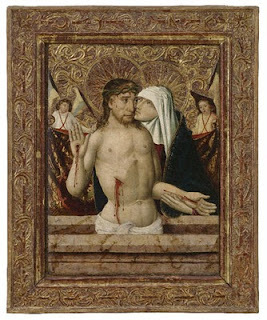 In this period, he supervised the creation of the most important exhibitions of old Hungarian art, including the magnificent exhibition of late medieval altarpieces in the former throne room of the Hungarian royal palace, home of the National Gallery. In 1989, Miklós Mojzer became the director of the Museum of Fine Arts, where he served three terms, until his retirement in 2004. He was a true museum expert, familiar with technical details of historic paintings, exhibition organization and publications, and above all, always a true gentleman. 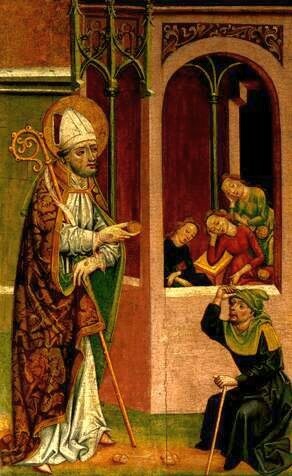 As a researcher of medieval art, Miklós Mojzer mainly researched and published on late medieval panel painting. 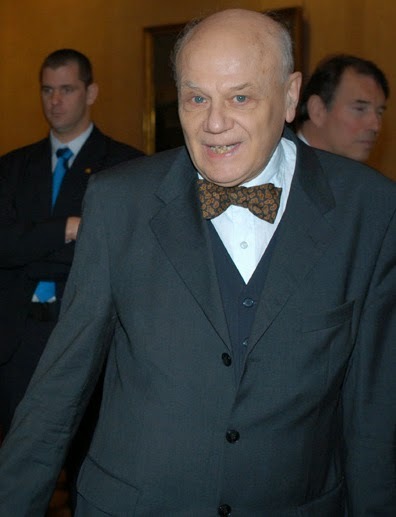 His bibliography was compiled for the 2011/2 volume of Művészettörténeti Értesítő, which was a Festschrift published for his 80th birthday (another bibliography was compiled at Museum of Fine Arts). An earlier Festschrift, published by the National Gallery for his 60th birthday, is available online in the Hungarian Digital Museum Library. 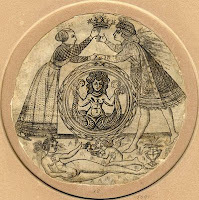 A subject he had dealt with most recently was the painter known as Master MS, creator of a highly important altarpiece at Selmecbánya (Banská Štiavnica / Schemnitz, SK) at the beginning of the 16th century. This was a subject which occupied him over and over for decades. 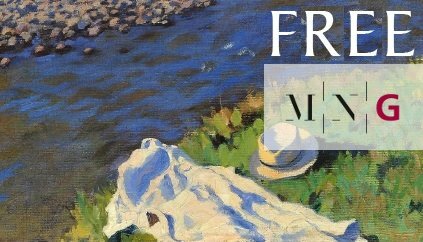 To get to know more about Master MS, you can also have a look at this overview on the Fine Arts in Hungary website, but the best place to start is the bilingual exhibition catalogue published by the National Gallery in 2008. Miklós Mojzer naturally wrote the introductory study to this catalogue, but the results of his research concerning the identity of the painter were only published later, in a two-part article (the second part of which is available online). 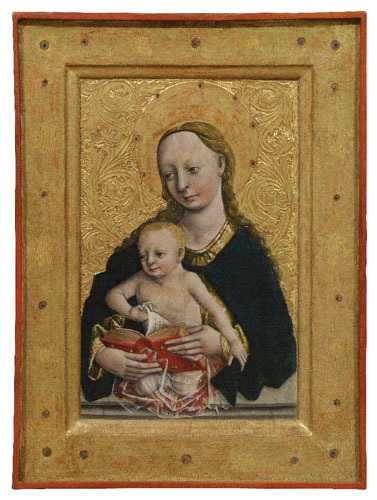 In this complex study he calls attention to the painter known with various names, but generally as Marten Swarcz, who had arrived to Cracow in 1477 along with Veit Stoss in order to work on the main altar of the Church of the Virgin Mary. 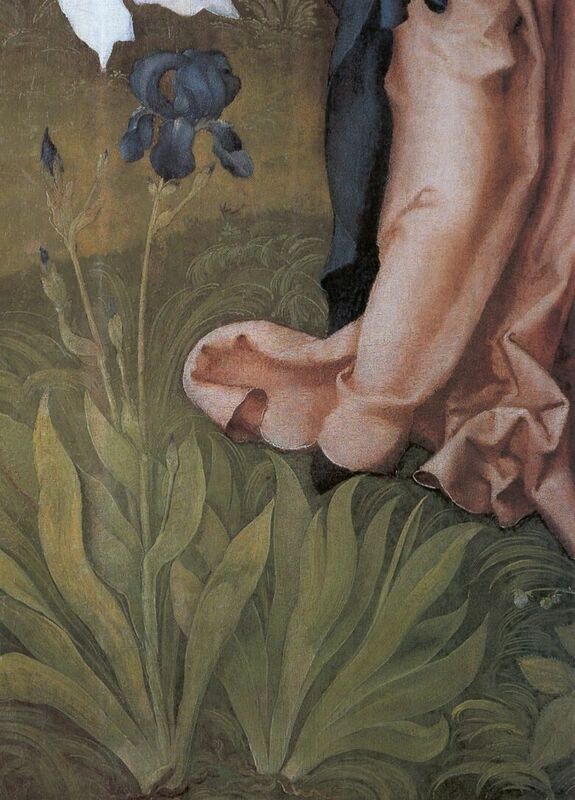 Mojzer proposed that this painter can be identified with Master MS, and he must have been in Selmecbánya by 1506 to work on the altarpiece, from which today seven scattered panels are known (see the Visitation at the Hungarian National Gallery in high resolution). His research opened up new avenues in the study of this outstanding late Gothic master. Miklós Mojzer will be buried in Esztergom, on September 5, 2014. May he rest in peace. 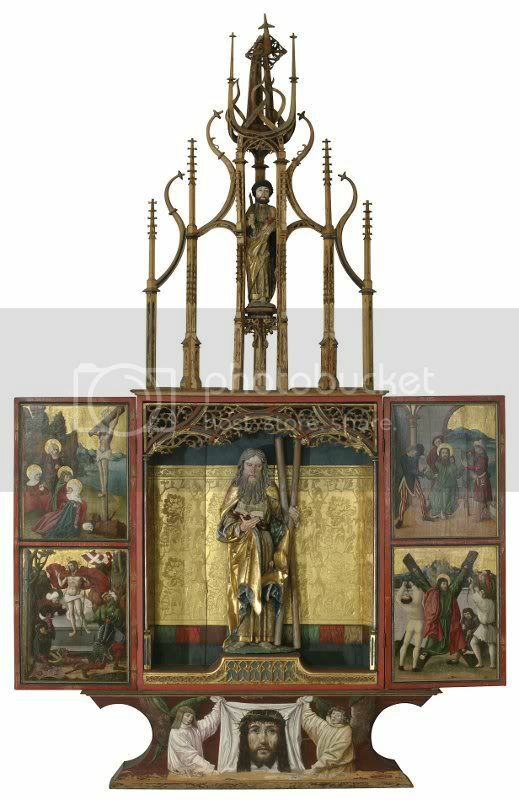 The main altar of the church of Kisszeben (Sabinov, Slovakia) is on view again at the Hungarian National Gallery in Budapest. The altarpiece has not been put together since WWII - during the last few years, only parts of it were visible in the permanent exhibition of the Hungarian National Gallery. 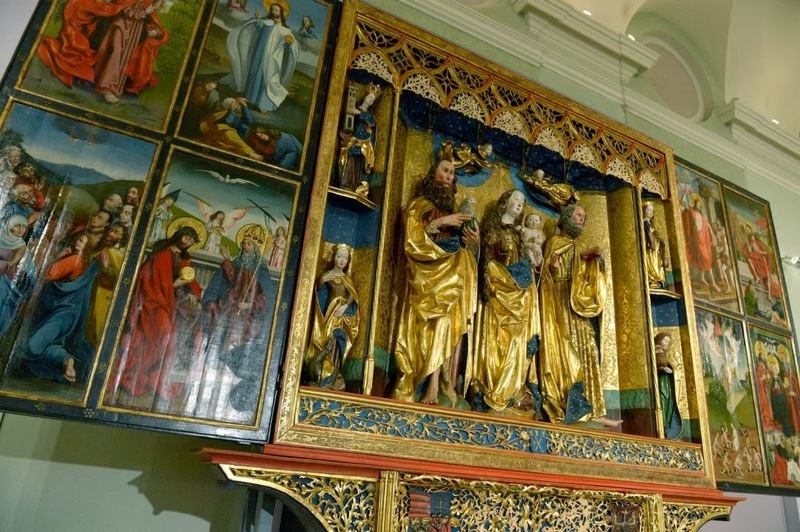 A restoration project of several decades has come to an important milestone, when the central shrine of the altarpiece, as well as the paintings of a pair of movable wings were assembled and put on display. There is still work to be done (including the restoration of the superstructure), which is expected to be completed by next year - but for the first time in 70 years, visitors can appreciate the size and beauty of this whole winged altarpiece. The main altar of the church of Kisszeben was dedicated to St. John the Baptist, and is one of the largest and most lavishly decorated winged altarpieces of medieval Hungary (along with the main altar of the Church of St. Elisabeth at Kassa/Košice and the main altar of the parish church of Lőcse/Levoča). 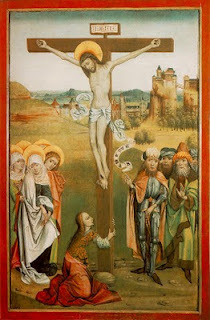 The altarpiece was executed in the period between 1490-1516, based on heraldic evidence and a date on one of the panels. 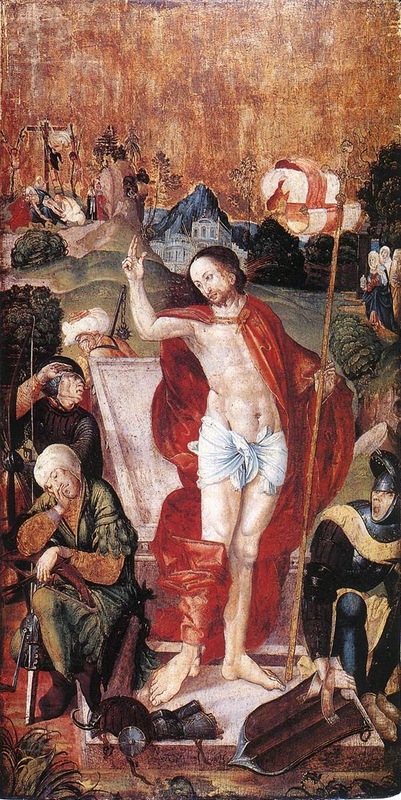 The 24 panel paintings of the altarpiece tell the story of Saint John the Baptist, as well as the life of the Virgin. 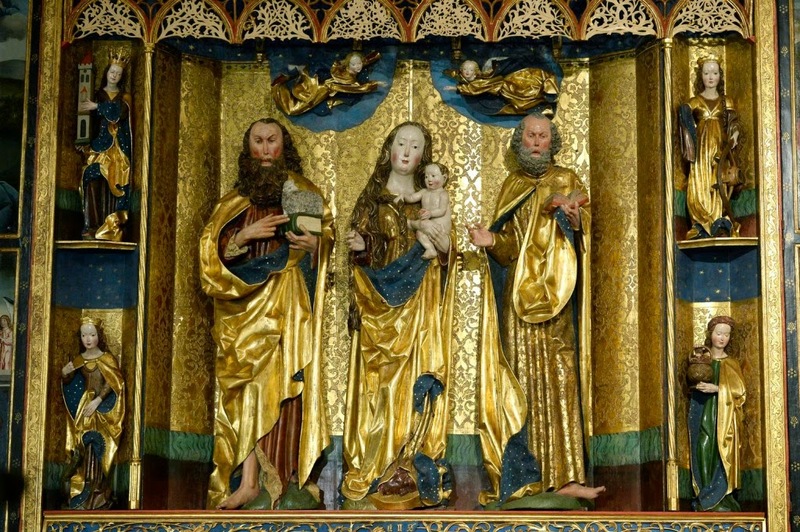 The three central statues of the altarpiece depict the Virgin Mary, accompanied by St. Peter and St. John the Baptist. 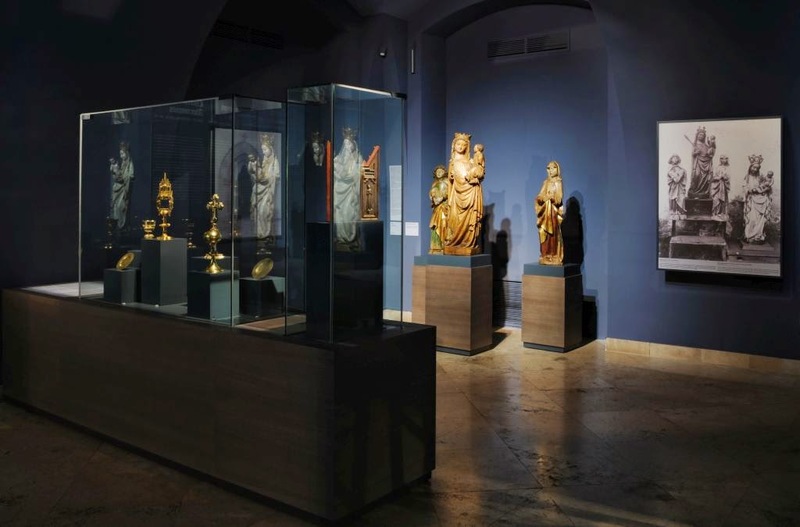 As part of a coordinated campaign to transfer medieval altarpieces in museum collections at the time of the Hungarian millenium, the altars of Kisszeben were transported to and exhibited in the newly built building of the Museum of Applied Arts. In addition to the main altar, this included two side altars from the same church. 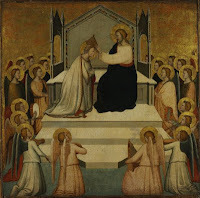 By the 1920s, the altarpieces were transferred to the Museum of Fine Art, where the main altar was put on display in the Marble Hall of the museum. During the war, the altar was dismantled and put in storage, suffering serious damage. It was transferred to the Hungarian National Gallery along with the rest of the Old Hungarian Collection in 1974. 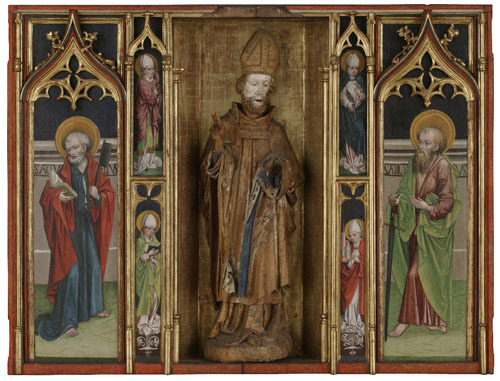 The restoration of the altarpiece commenced already in the 1950s, and continued in the National Gallery. Some of the restored parts of the altar - including the central statues - have been on display along with similar works of art for some time. Last week, the assembled altarpiece was formally put on display in the same gallery. 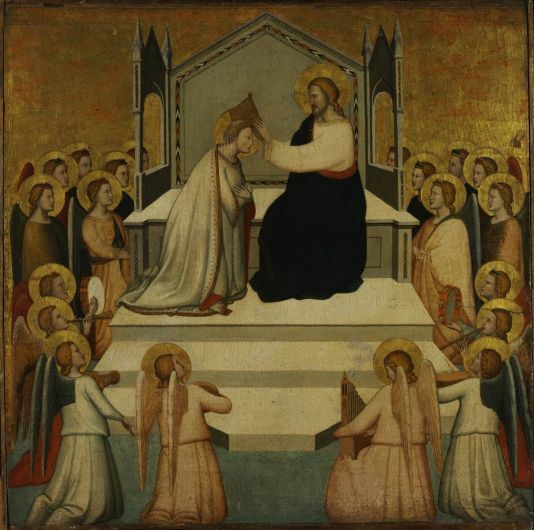 In addition to the central part of the altar and one set of the wing paintings, several other paintings from the Life of St. John and the Life of the Virgin cycles are also on view. Moreover, statues originally in the superstructure of the altar can also be seen. Update: link to a better photo of the whole altar. 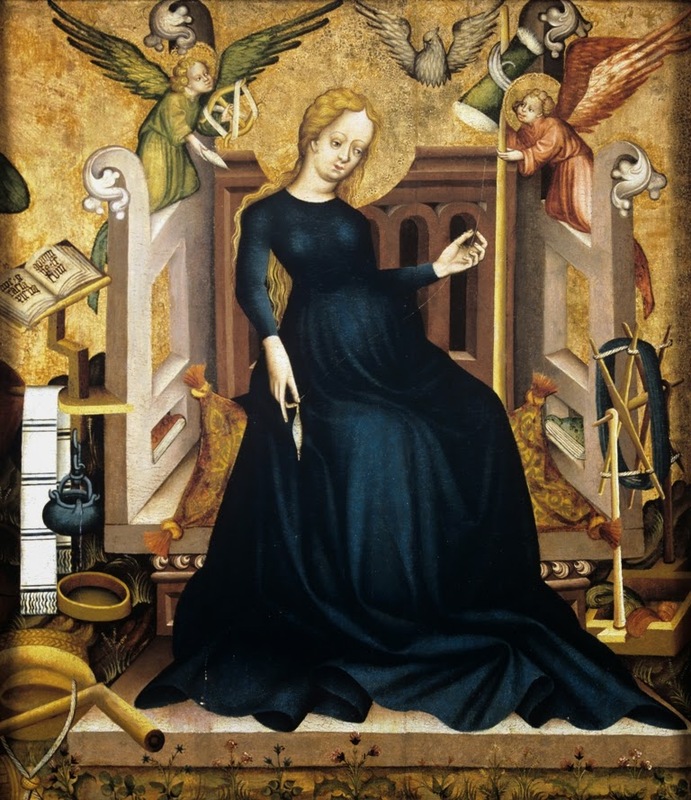 I should also mention that the two side altars from the church - one with the Annunciation and another dedicated to St. Anne - are also on view in the same room of the Hungarian National Gallery. It is a long-standing tradition in Hungary's major art museums to celebrate on St. Nicholas's day: it is the name day of Miklós Mojzer, the doyen of Hungarian museologists, retired director of the Museum of Fine Arts. Yesterday a special celebration was held in his honor at the Hungarian National Gallery - the 80 year old Mojzer was honored by a special issue of Hungary's prestigious art history journal, Művészettörténeti Értesítő. Miklós Mojzer worked in all of Hungary's museum with major holdings of Old Masters: he started his career at the Christian Museum of Esztergom, and then worked at the Old Hungarian collection of the Museum of Fine Arts. When in 1974, this collection joined the rest of the Hungarian National Gallery in its new building - the former royal palace in Buda castle - Mojzer went with the collection, and became its head from 1977 to 1989. In this period this collection - encompassing works of Hungarian and Central European art from the 11th century to the Late Baroque - became one of the most significant such ensembles of the region. To get a glimpse of the relevant artwork, you can browse the website of the museum - the first four groups on this page of collection highlights belong to the Old Hungarian Collection. In this period, Mojzer was also the editor of Művészettörténeti Értesítő, the journal of the Association of Hungarian Archaeology and Art History. From 1989 until 2004, Miklós Mojzer was the director of the Museum of Fine Arts, leading this institution into the 21st century by starting the reconstruction and underground expansion of the museum, and organizing a series of highly important exhibitions. The collections of the museum were also greatly expanded during his tenure. Miklós Mojzer remained active after his retirement, publishing a number of important articles - including ones dedicated to his lifelong research-interest, Master MS. His findings will be the topic of another blog post - it is enough to say now that Mojzer proposed a solution to this enigmatic master of late Gothic paintings, whose chief works are at the Christian Museum and at the Hungarian National Gallery (the latter providing the sole illustration to today's post). A selection of his publications is listed in the Kubikat catalogue. The new issue of Művészettörténeti Értesítő contains studies from the general field of research of Mojzer: studies on late medieval altarpieces, on Hungarian medieval painting and sculpture, on Renaissance and Baroque painting and similar subjects. Edited by Anna Jávor and Árpád Mikó, the studies in this special issue were written by the best Hungarian researchers in these fields, many of whom had worked together with Miklós Mojzer for many years. I would like to wish him many more productive years and a long life! Hungary (and its capital, Budapest) has a rich and multi-layered art museum system, the result of almost two centuries of organic development (I wrote about these museums in a previous post). One of the largest such institutions in Budapest is the Hungarian National Gallery, officialy created as a separate museum in 1957, and presently housed inside the former royal palace on top of Buda castle hill. The museums is home to art from all over the territory of historic Hungary, ranging in chronology from the 11th century to the present day. 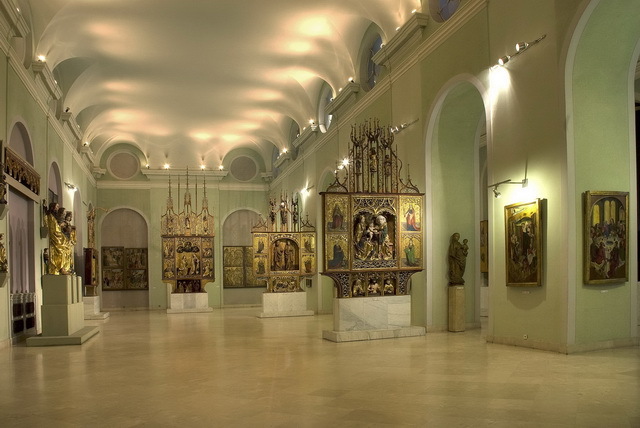 The museum is the largest repository of Hungarian medieval art, holding stone carvings, sculptures, painting and complete altarpieces. You can browse highlights of the collection starting from this page. It is also a very important research center of Hungarian art history - during the last few decades, most new knowledge about Hungarian art was published in the catalogues and journals of the National Gallery, many of which can be studied online in the database of Hungarian museum publications (go down to "Magyar Nemzeti Galéria"). Several years ago, the director of the Museum of Fine Arts, László Baán raised the possibility of once again uniting the collections of the Museum of Fine Arts and the Hungarian National Museum, into one mega-museum (The Art Newspaper 177, 2007). The idea then was met with skepticism and rejection - but was already put partly in practice in the 2010 exhibition at the Royal Academy in London titled Treasures from Budapest (to mixed reviews, as the detailed overview of Gábor Endrődi at the 1100sor.hu blog proved - in Hungarian, but with links to English-language reviews). Things, however, sped up this year, after a major EU-funded expansion plan of the Museum of Fine Arts was scrapped (On this, see the brief report of The Art Newspaper, as well as the letter to the editor of TAN at the bottom of this page.) Baán then went ahead to realize his plan of merging the two museums under his leadership, and received government support for it. What was only a plan this summer (see once again The Art Newspaper's report) quickly became a reality when the backing of this plan was announced in a government decree, and Baán was appointed as state commissary to lead the project. There was talk of negotiations, examinations and planning - but less the nthree weeks later, another decree was published, announcing that the two museums will have to be officially merged by February 29, 2012. As it was revealead on Tuesday, two highly important Romanesque stone carvings had been stolen from the Hungarian National Gallery some time in early February. Both carvings were on view in the medieval lapidary of the Gallery, located on the ground floor of the building. There is no explanation as to how or when the theft took place. 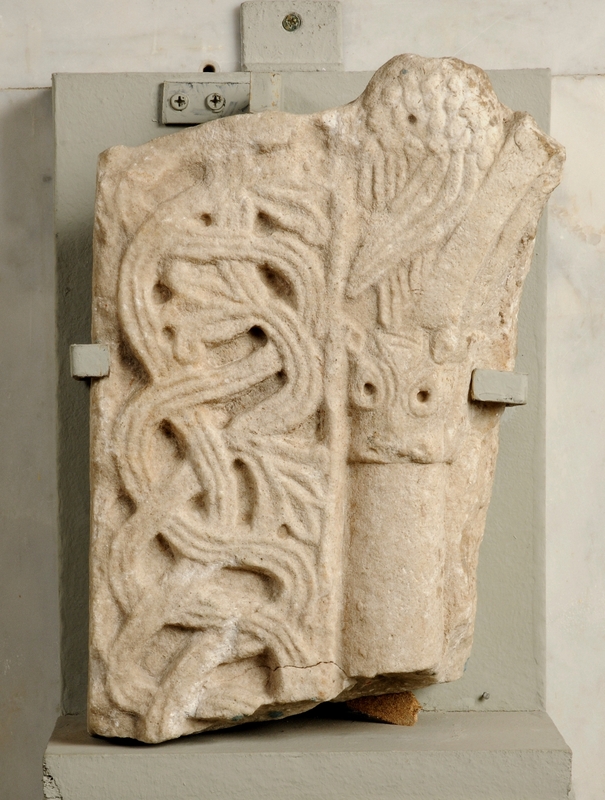 A cornice fragment stemming from the church of Ják, dating from around 1230. 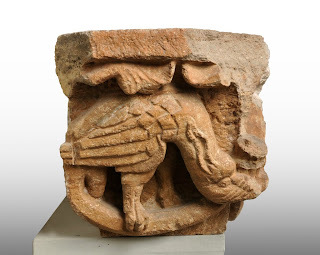 The carving, decorated with the figure of a dragon (which originally joined another dragon), comes from the west portal of the abbey church of Ják, and was most recently published in the catalogue of the collection, written by Sándor Tóth (see my earlier post on this). Left side fragment of a relief slab from the abbey church of Somogyvár, dating from around 1150. The stone carving belongs to the Rippl Rónai Museum of Kaposvár, it was on long-term loan in the National Gallery. The carving was published in the Pannonia Regia exhibition catalogue of the National Gallery in 1994. It seems clear that objects such as these cannot be sold on the open market. It is hoped that the carvings will be recovered soon. The images here are from the official Hungarian database of stolen artwork, maintaned by the National Office of Cultural Heritage. "In the fifteenth century the Flemish Primitives triggered an artistic revolution in Central Europe. Talented painters like Jan van Eyck with his brilliant eye for detail, introduced new painting styles and techniques. Their influence spread rapidly and inspired scores of artists, including the painter, draughtsman and etcher Albrecht Dürer. Van Eyck and Dürer are two great masters from the period 1420-1530. A pioneering exhibition brings together first-rate works by them and some of their contemporaries, drawn from notable European and American collections. Paintings and other art forms will illustrate the interaction between the Flemish Primitives and art in Central Europe." No doubt, an overview of painting in this one-hundred years should be a feast for the eye, and juxtapositions of famous works could provide numerous art historical insights. The exhibition does not seem to have an extensive website, but you can read on it at the Brugge Centraal website, of which the exhibition is part of. More information is available in a tourist brochure (pdf here) and images of works to be exhibited can also be seen here. 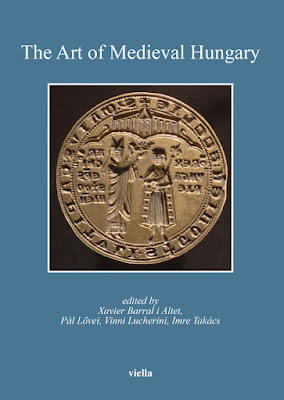 A catalogue, published in several languages and edited by Till-Holgert Borchert, should also be available starting from tomorrow (link to the German, English and French versions at Amazon). In addition to focusing only on Germany, the exhibition also includes several paintings from East Central Europe. The Hungarian National Gallery is loaning a few panel painting to the exhibition, to illustrate the impact of Netherlandish painting on 15th-century Hungarian painting. The works were selected by Gyöngyi Török, who also contributed to the catalogue. 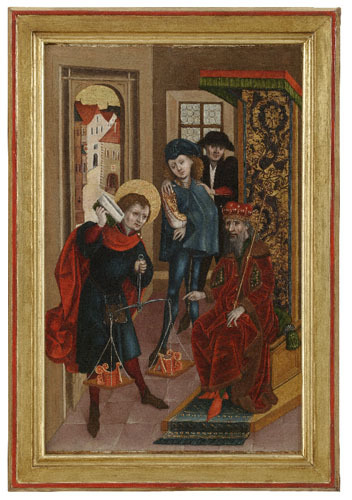 Works on loan include a wing of the altarpiece from Jánosrét (Lučky, SK) and panels from the altarpiece of Mosóc (Mošovce, SK), both dating from the 1470s. 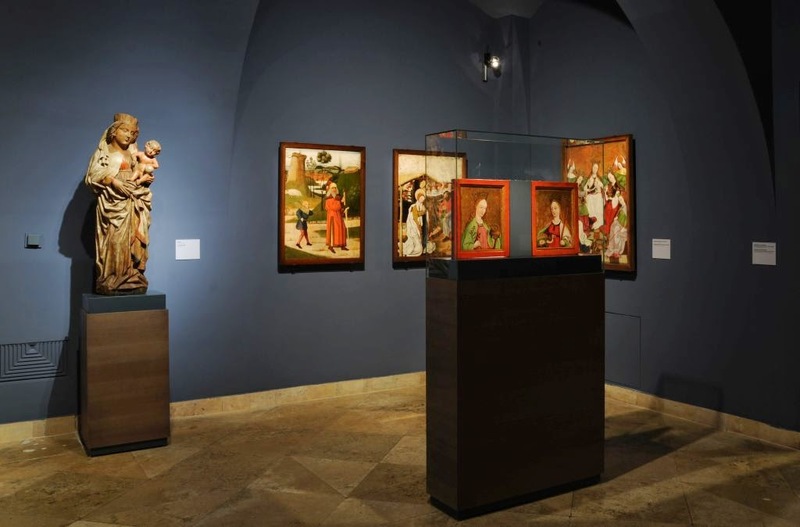 Two smaller panels illustrated here - a Virgin and Child from Bártfa (Bardejov, SK) and a Man of Sorrow from Kassa (Košice, SK) - are also in the exhibition. These works are perhaps not the most sophisticated examples of Hungarian painting showing the influence of Netherlandish painting. It also has to be said that this influence was for the most part not direct, as new painterly ideas were transmitted to Hungary through Germany and Austria. Finally, some of the best works in this artistic trend - including the main altars of Kassa in Upper Hungary, or Medgyes (Medias, RO) and Berethalom (Biertan/Birthälm, RO) in Transylvania - are still standing in their original location, the same spot where they have been erected in the 15th century. One of these unmovable works is, however, evoked at the Bruges exhibition. A monumental fresco of the Crucifixion in the parish church of Nagyszeben (Sibiu/Hermannstadt, RO), painted in 1445 by Johannes de Rosenau will be shown through a large-scale copy, painted at the beginning of the 20th century, and also lent by the Hungarian National Gallery. I will use this opportunity to include a photo of this fresco here (without the upper part, which was heavily repainted in the 17th century). (I don't think I will be able to go and see this exhibition. If you have a chance to visit it - please add a comment with your impressions. Other places to see examples of medieval Hungarian paintings include the exhibitions at the Royal Academy in London and at the Musée Cluny in Paris).